How Powerful Are Your Prayers? Are You Unlocking the Full Potential Of Your Relationship with God? I thought I knew how to pray. Afterall, I'd grown up in the church. I knew all the standard prayers. I prayed with some regularity. Yet, when I heard others pray and heard how prayer was an integral part of other people's lives, I knew I must be missing something. See, even though I prayed and knew prayer was important, it wasn't an essential part of my life. Prayer was never my first stop. I wasn't really experiencing actual results from my prayers. I hadn't unlocked the full power of prayer. That all changed when I decided to dive deeper into prayer. I decided I wanted to find out what I was missing. So, I committed to pray daily and develop a consistent prayer habit. Next, I opened my heart to God and asked him to meet me in prayer. I learned to listen for God's voice in my prayers and to pray through his Word in scripture. Through this journey of prayer I met a real, personal, relational God. I discovered the power of prayer in my life and began to experience real results from my prayers. I began to understand how crucial prayer was for my life and how prayer should always be my first step. My faith was transformed through prayer and I began to develop and deepen my relationship with God. Do You Want To Deepen Your Prayers and Hear God More Clearly? When I want to deepen and refocus my prayers, the Bible is my first stop. Praying through scripture has been a game-changer for my prayer life and helps me hear God more clearly. Every time I dive into God's Word in my prayers, I find my prayers become stronger, more expansive, and more connected to God. When I listen for God through scripture, I can better tune into his voice. Do You Want To Learn More About Praying With Scripture? Of all the prayer methods I've studied and written about, the ones that involve scripture are my favorites - and the ones that have been most powerful in my prayer life. Praying through scripture has grown and developed my prayer language, providing me with words I otherwise wouldn't have had to pray. I've learned to pray God's words back to him and to incorporate more expansive names and descriptions of God in my prayers of praise and adoration. Do You Want To Develop a Stronger Daily Prayer Habit? Daily time in God's presence - through prayer and scripture - is an essential part of my life. It's what God desires for you, too. Daily prayer is how you learn to tune into God's voice in your life, how God guides and shapes your life, and where your heart is healed and transformed by God's grace and mercy. Carving out time from your busy is hard, but so crucial. Often, though, it's a matter of setting prayer as a priority and then making a plan to guide you and hold you accountable. ​​If you said 'yes' to any of these questions, I invite you to keep reading and explore the Power Up Your Prayers course. Are You Ready to Power Up Your Prayers? The Power Up Your Prayers Devotional is everything you need to take your prayers to the next level. You'll learn 3 methods for incorporating God's Word into your prayers - Praying through Scripture, Lectio Divina, and Gospel Contemplation. In each lesson, you'll learn how to use that prayer method, work through guided examples, and get a printable worksheet to use in your daily prayers. 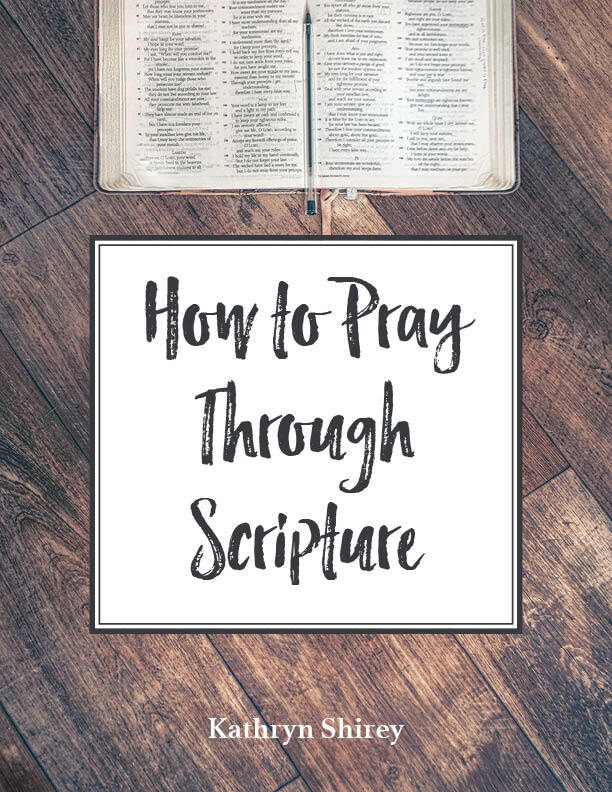 You'll get two daily prayer devotionals to guide you in developing a daily prayer habit and using these methods for praying through scripture. 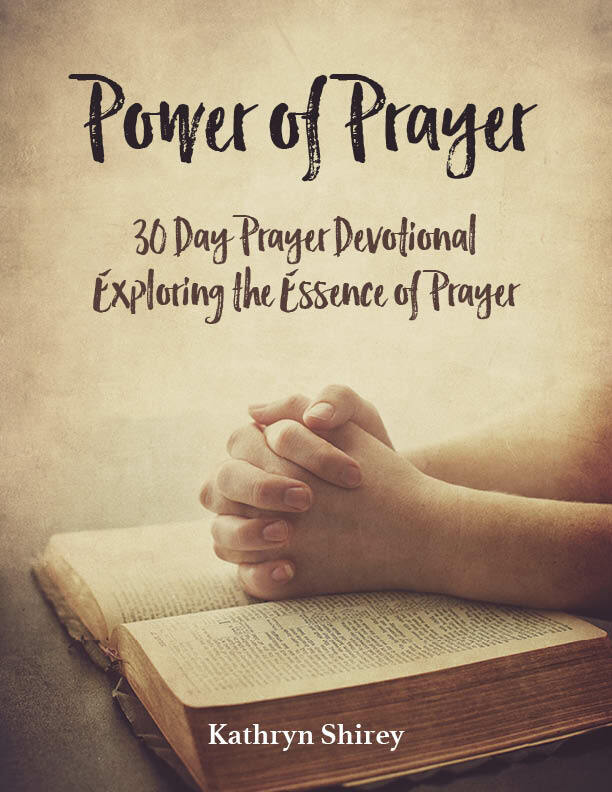 The Power of Prayer devotional is 30 days focused on exploring the essence of prayer, the power prayer can have in your life, and the common stumbling blocks to prayer. 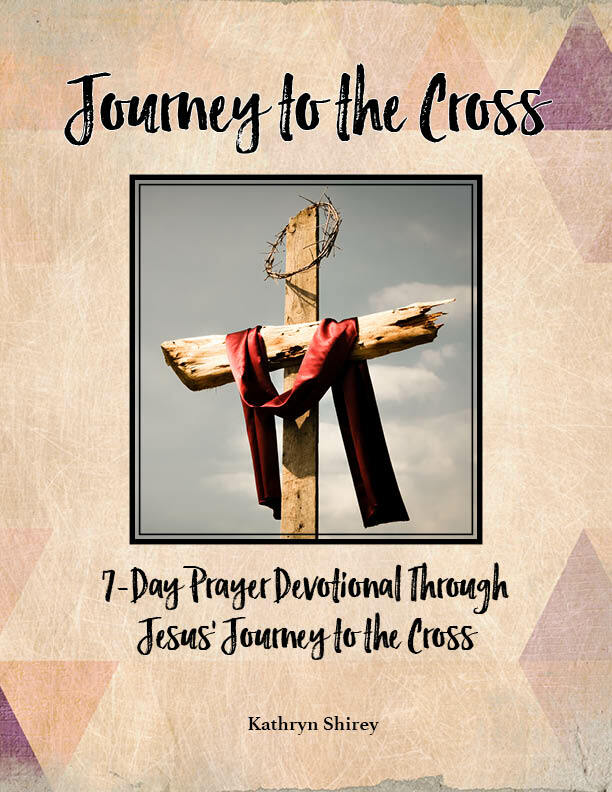 The Journey to the Cross devotional is a 7 day exploration of Jesus' final week, using Gospel Contemplation to deeply experience these moments with Jesus. Start with the FREE 5 day challenge to Develop Your Prayer Habit. 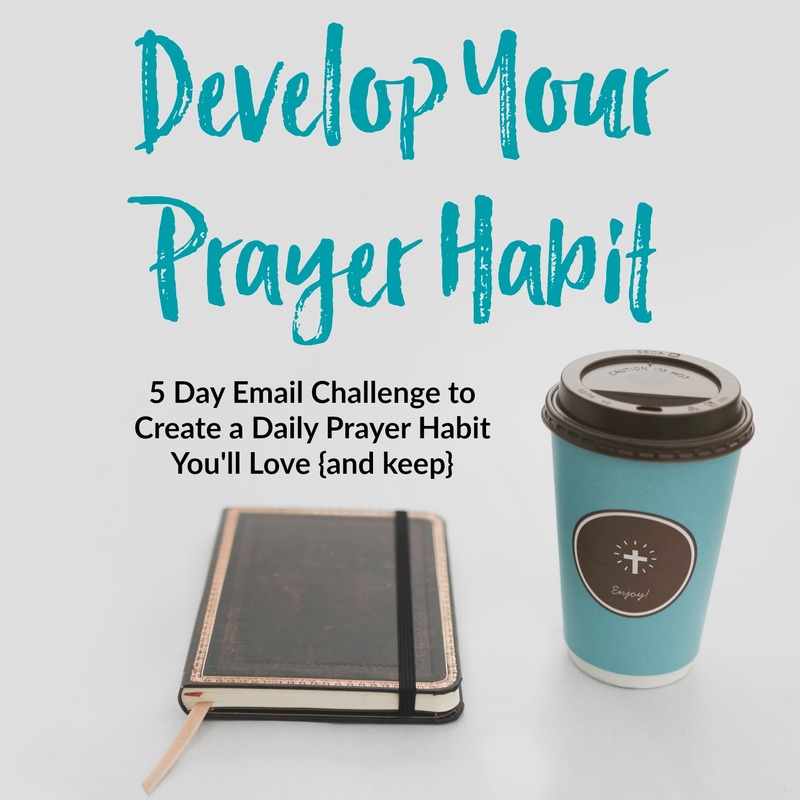 Through this email-based course, you'll work through the WHY, WHEN, WHERE, and HOW of your daily prayer habit, developing a prayer habit you'll love (and keep). Ready to Discover the Power of Prayer In Your Life? 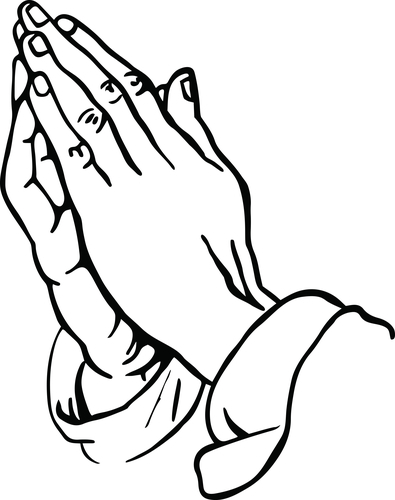 > Develop a lasting, daily prayer habit. 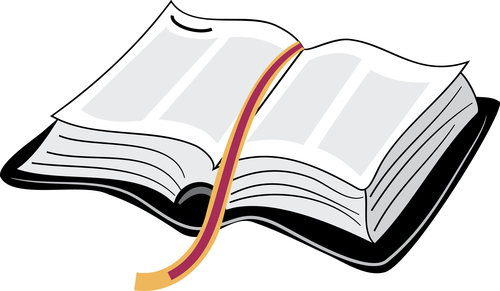 > Expand your prayer language by learning to pray through scripture. > Pray with more power and purpose. 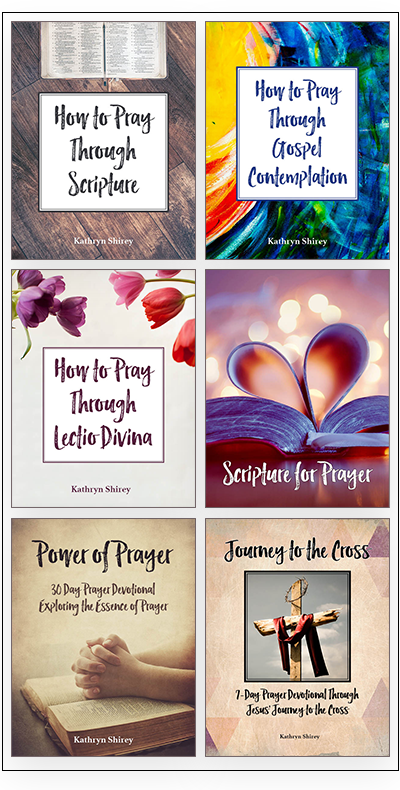 How-to lessons for 3 prayer methods (praying through scripture, lectio divina, and Gospel contemplation), including examples and printable worksheets, plus more than a month of daily prayer devotionals and more! Scroll down for more details on what's included. Get started TODAY for only $17! 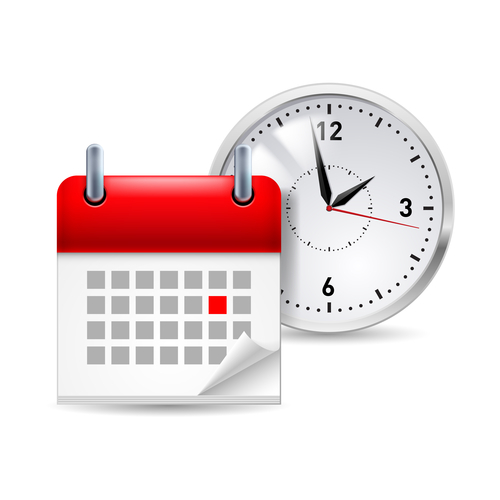 You want a daily prayer habit, but can't seem to find the time. You pray regularly, but your prayers feel uninspired and routine. You want to pray through scripture for more eloquent and powerful prayers. Power Up Your Prayers includes everything you need to take your prayers to the next level, developing a solid prayer habit you'll love, expanding your prayer language through praying scripture, and deepening your relationship with God through daily devotionals and guided prayer prompts. Instructional guide for how to pray through scripture. Learn how to pray God's Word back to him, expanding your prayer language and learning to pray through the greatest prayer book. 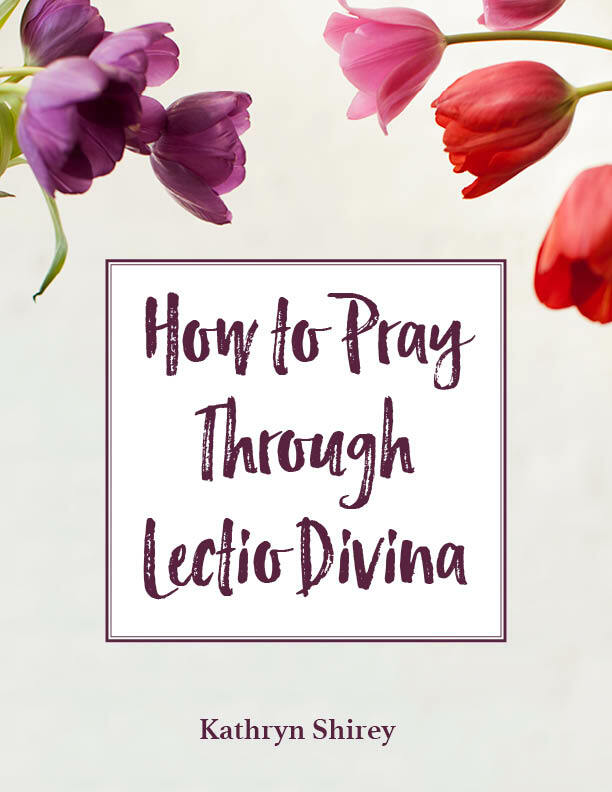 Instructional guide for how to pray through lectio divina (holy listening). Learn how to interact with the Living Word in prayer, listening for God's responses. 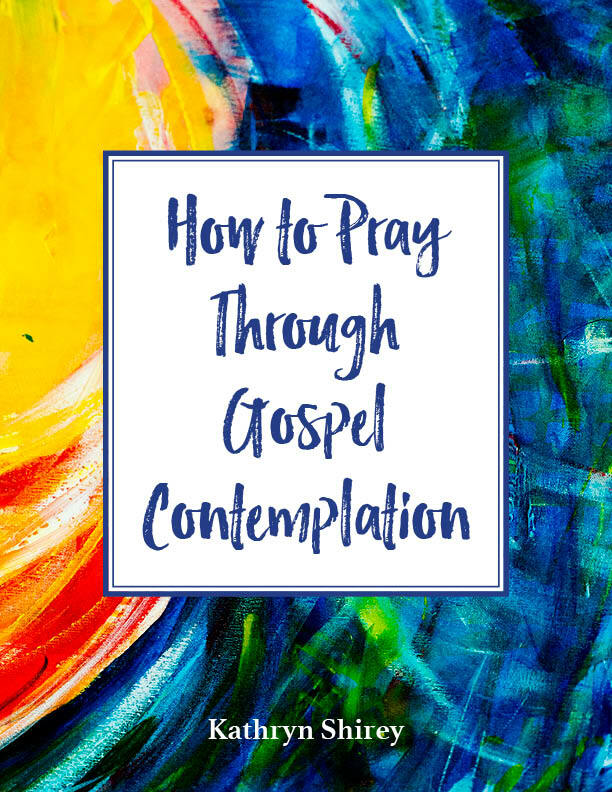 Instructional guide for how to pray through Gospel Contemplation. Learn how to bring the Gospel narrative to life in your prayers and meet Jesus face-to-face. 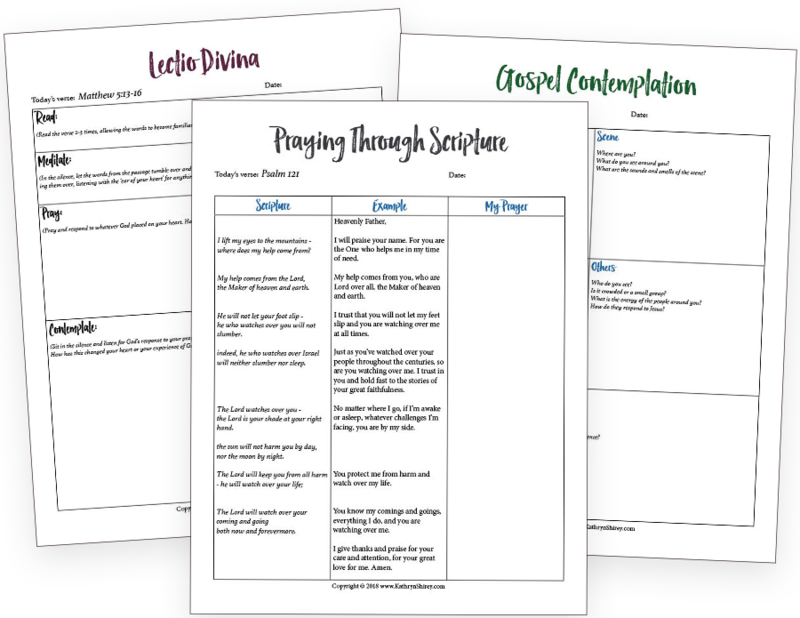 Printable worksheets for each prayer method, including an examples of how to use the prayer method, along with blank worksheets to use in your own prayers. Explore the essence and power of prayer. Through 30 days of daily prayer, you'll explore what prayer is, how to work through the challenges of prayer, how to make prayer more meaning and powerful in your life, and deepen your relationship with God along the way. Designed as a Holy Week devotional, but perfect for anytime you want to draw nearer to Jesus and experience the fullness of his great love for you through his final week. Immerse yourself in the Gospel through these 7 days of scripture-based prayer. Printable worksheet with 64 scriptures to use in your prayers. Includes note-taking space for each scripture to record notes about that scripture for quick reference later. Get your prayer habit off to the right start with this 5 day challenge. Through the daily emails, you'll get clear on why you want to pray daily and make a plan you can stick to. Develop a daily prayer habit through daily prayer devotionals. Commit to just one month of daily prayer and see your prayer habit solidified, learning to pray through the daily devotional, scripture passage, prayer prompts. 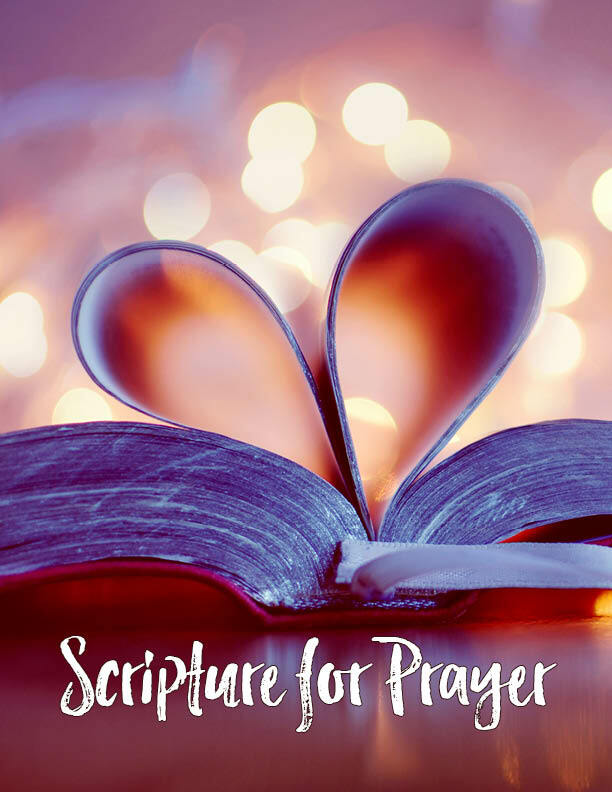 Inspire and deepen your prayers with in-depth lessons on three forms of scripture-based prayer - Praying through Scripture, Lectio Divina, and Gospel Contemplation. Each includes instructions, examples, and printable worksheets to use in your own prayer time. Expand your prayer language by learning to pray God's words back to him. Pray more powerful prayers, grounded in scripture. Power of Prayer In Your Life? No, these are all digital resources. This means nothing will physically be shipped to you. You'll receive a link to download these files and can read them on your device or print them at home. How much time do I need to allocate for this study? You'll get out what you put in, but I recommend setting aside 20-30 minutes per day. In all, you'll receive 45 days of devotional and prayer material - 5 days of the 'Build Your Prayer Habit' challenge, 3 days for the lessons on how to pray through scripture, 30 days of the Power of Prayer devotional, and 7 days of the Journey to the Cross devotional. Take them at your own pace, though. How do I start the 'Develop Your Prayer Habit' challenge? 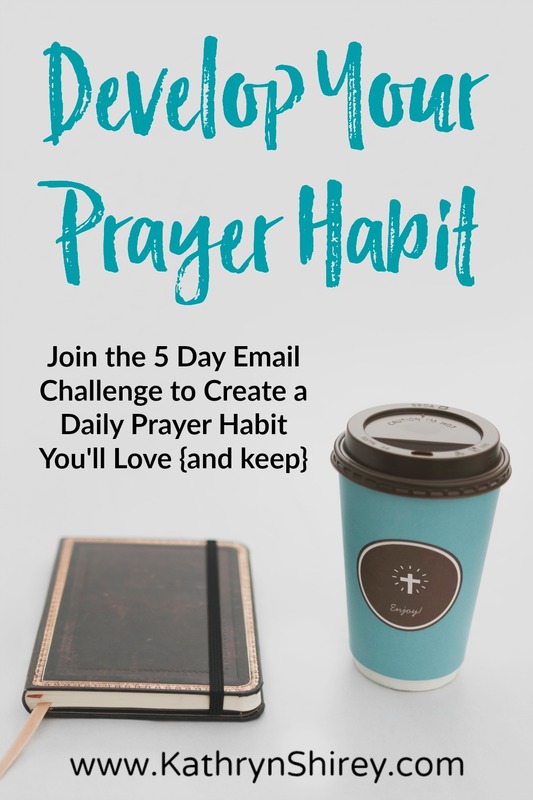 The 5 Day 'Develop Your Prayer Habit Challenge' is email delivered and must be signed up for separately. This challenge is completely FREE, but is meant to complement the Power Up Your Prayers course. It's a great way to get started. Sign up above - or use the link you'll receive in the welcome email. This is great! I want to share it with others. 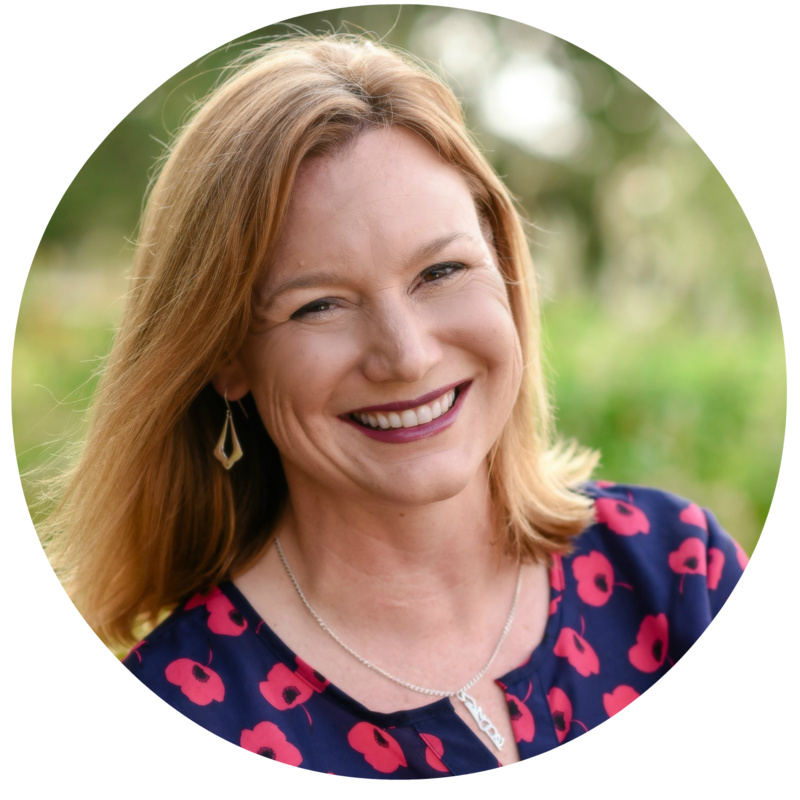 Do you love these resources and want to share them with others? Make a commission while doing so as an affiliate. Click here for more details. Not Ready to Power Up Your Prayers?